If you'll forgive us, this post plays off of our earlier post today about Josh Groban. My wife and I were discussing that track and the subject somehow switched to Sarah Brightman and a performance with a little girl named Jackie Evancho on America's Got Talent. Jackie totally showed up Sarah Brightman on this performance, but Sarah was gracious about it. Jackie has jaw-dropping talent for a young girl her age. Not only that, but she sings the song in Italian step by step with Sarah. Both of these singers recieved enormous ovations. You should check out the video below. 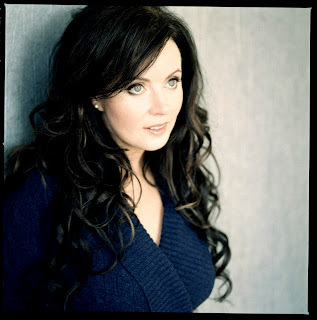 Now let it be said that I am a fan of Sarah Brightman. I consider her to be the best Opera Diva of this century, and one of the better of all time, including stalwarts of the classical era. Her vocal talent and range are simply phenomenal. After you are finished watching Jackie Evancho make Sarah Brightman look like chopped liver, go ahead and watch the music video of her song Sarai Qui from her album Symphony. This was too good not to share.